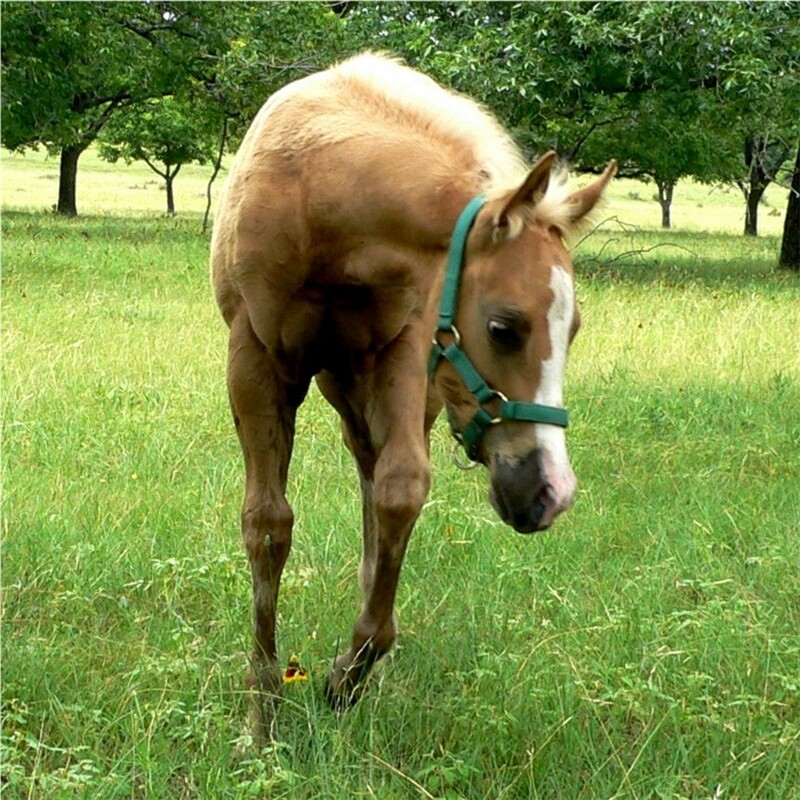 Miracle's has an amazing personality even though she has been without her mother almost from birth. 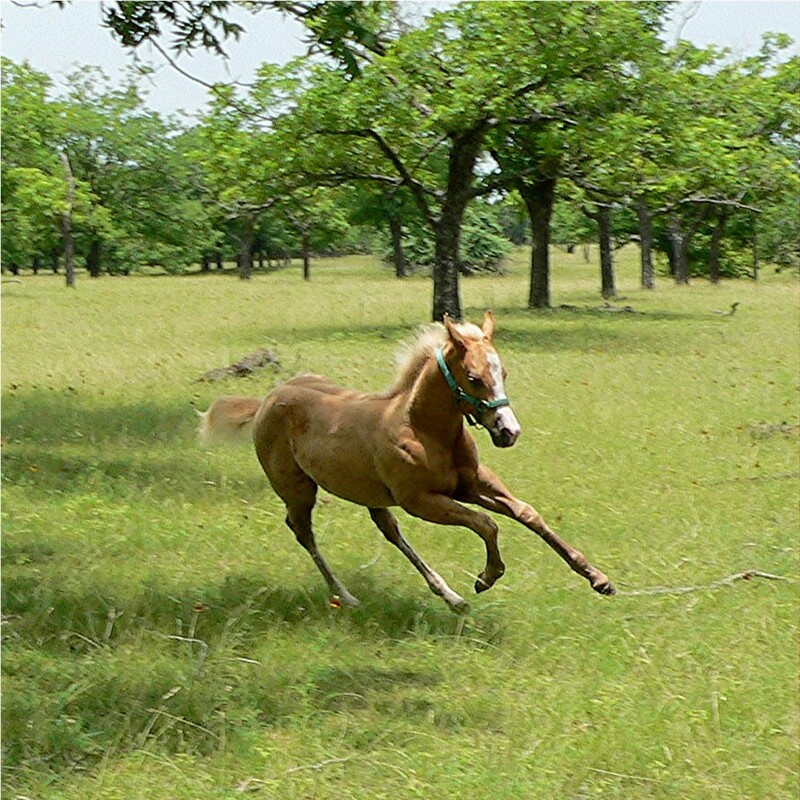 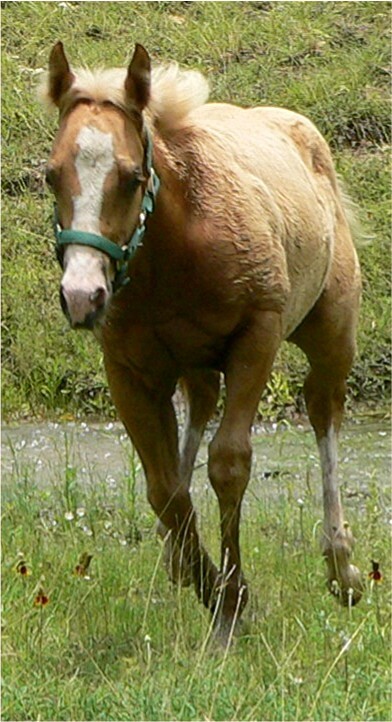 As the result of a terrible barbed wire incident, Miracle's mother, Blon Dee Bars Peppy (shown below) was almost unable to stand for many months while she carried Miracle. 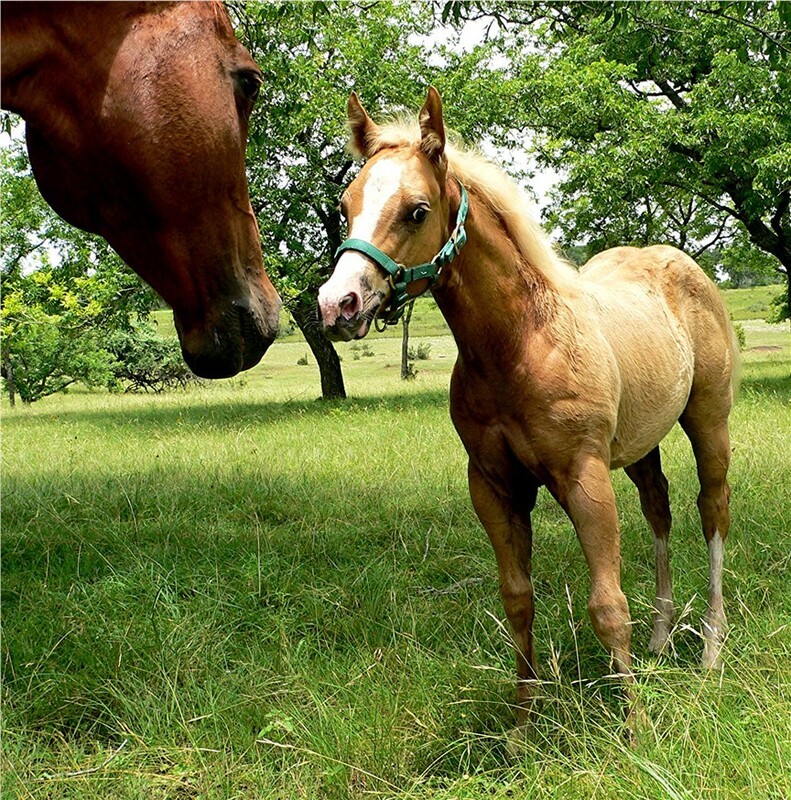 She held on until Miracle was born. 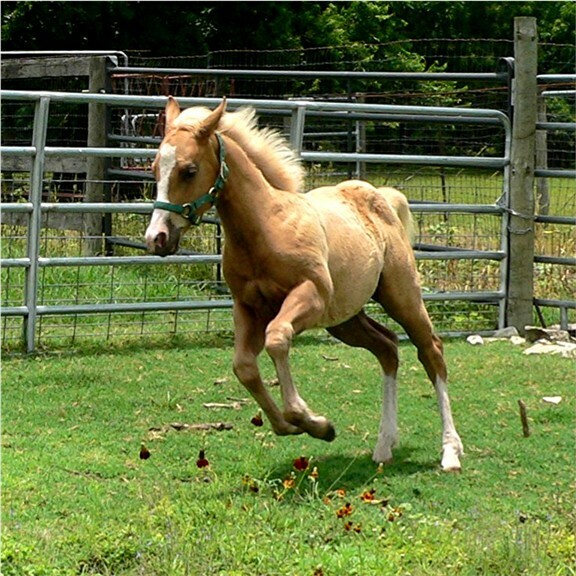 Sadly, Blon Dee died from complications of the incident when Miracle was two months old. 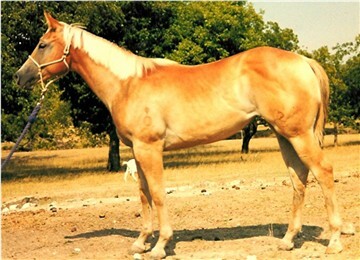 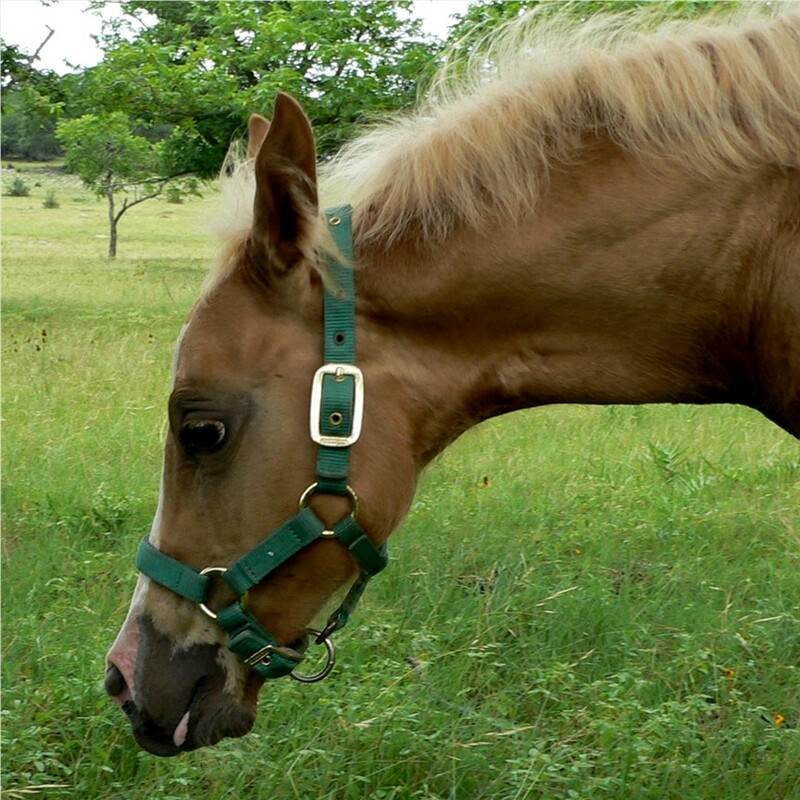 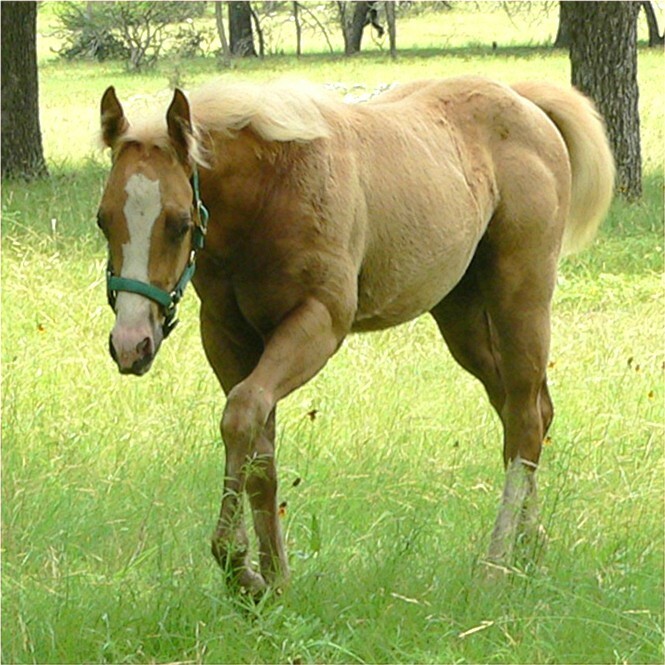 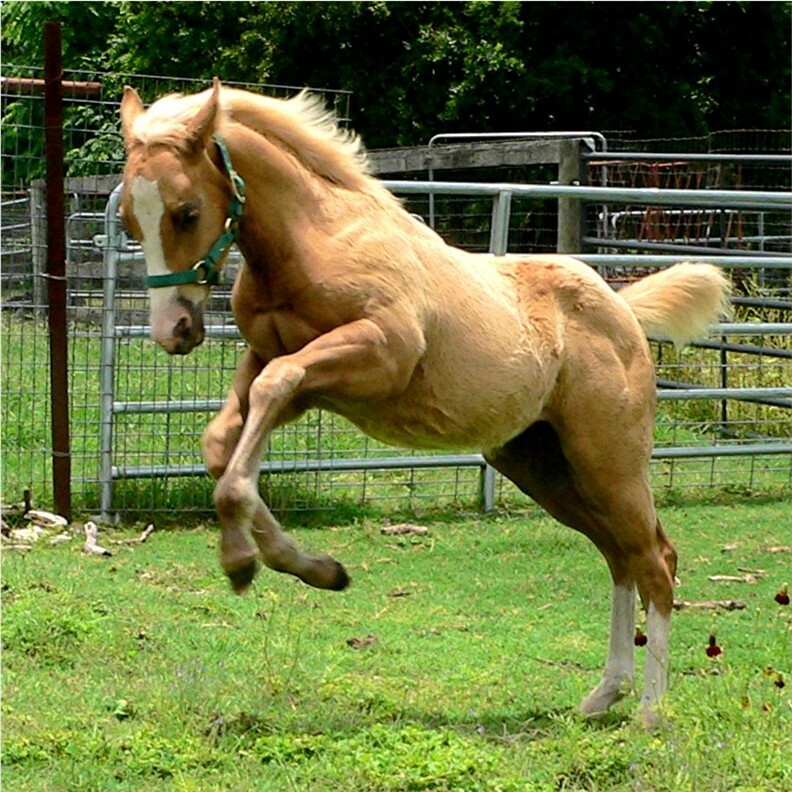 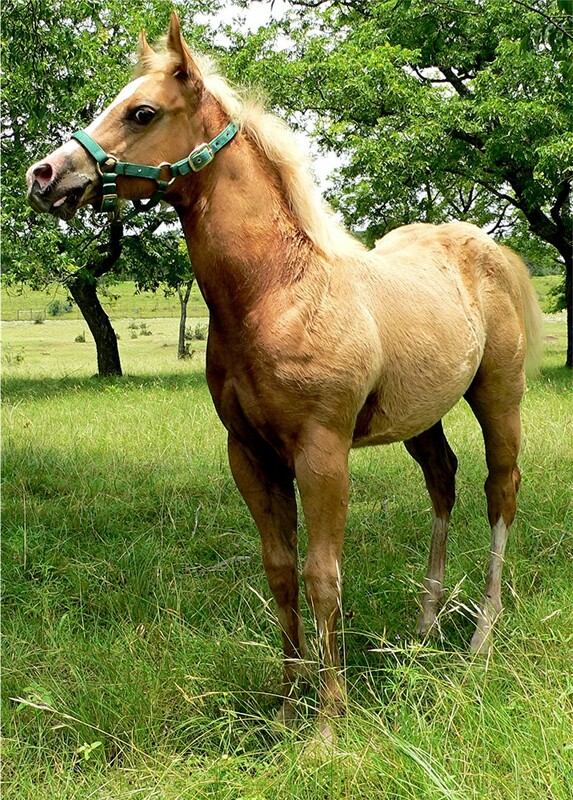 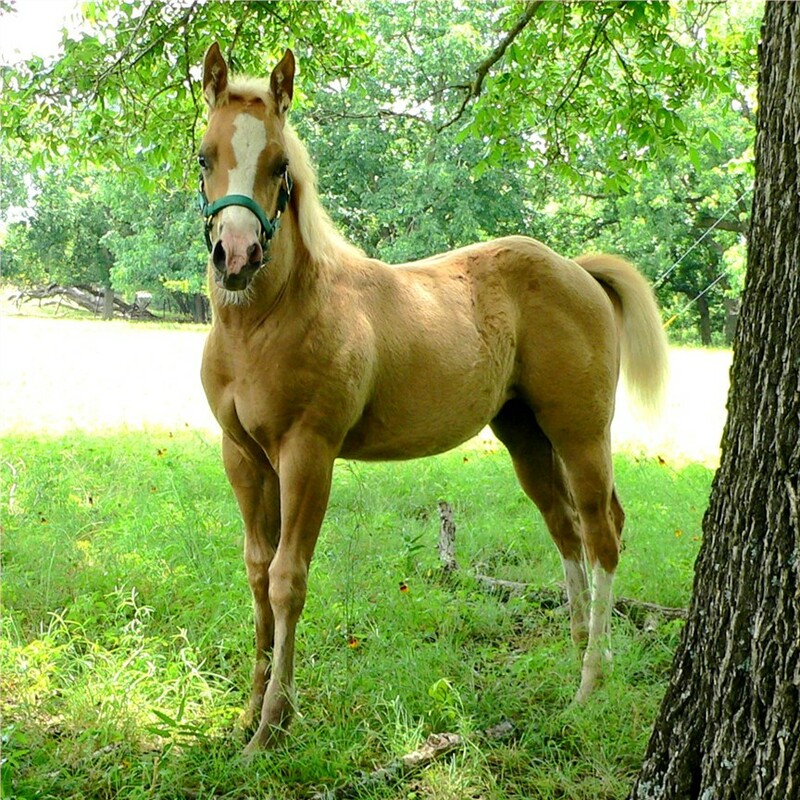 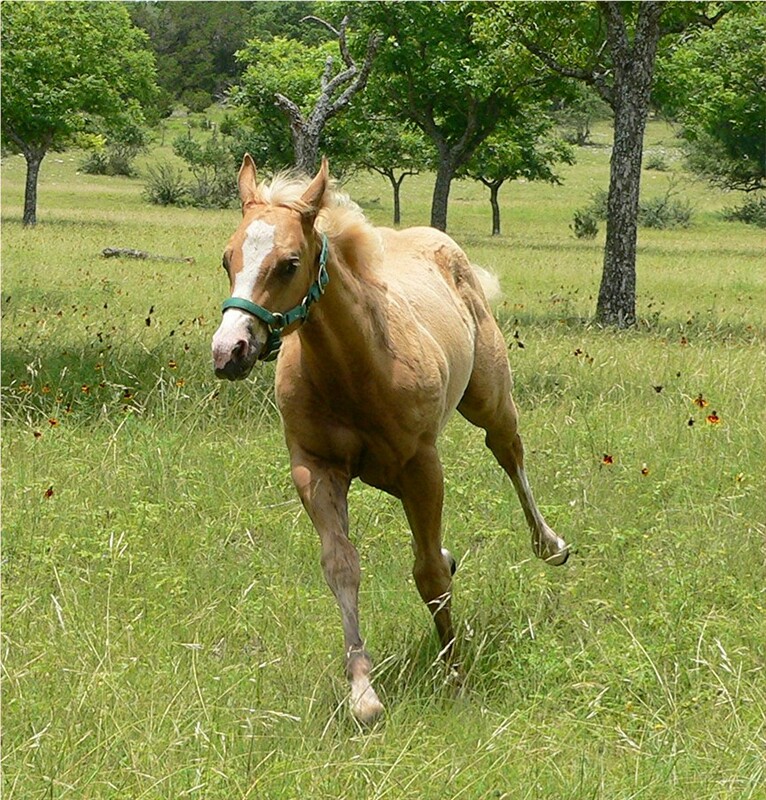 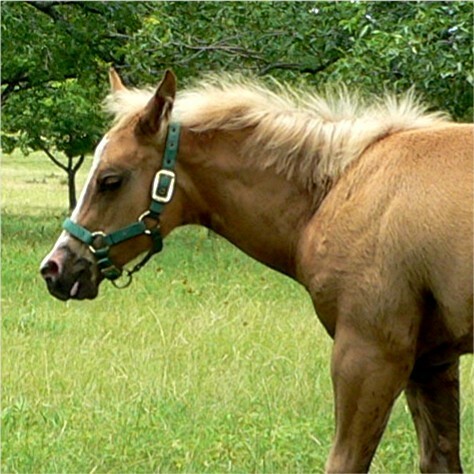 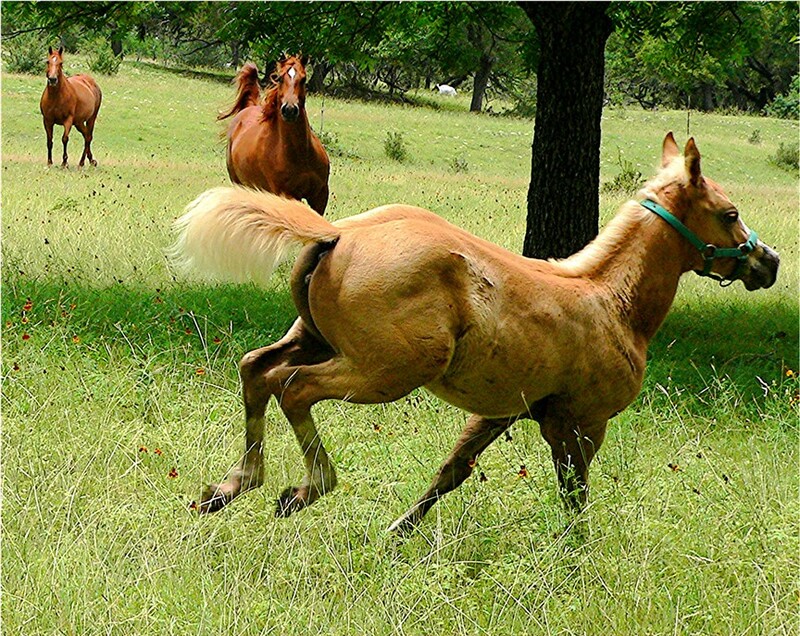 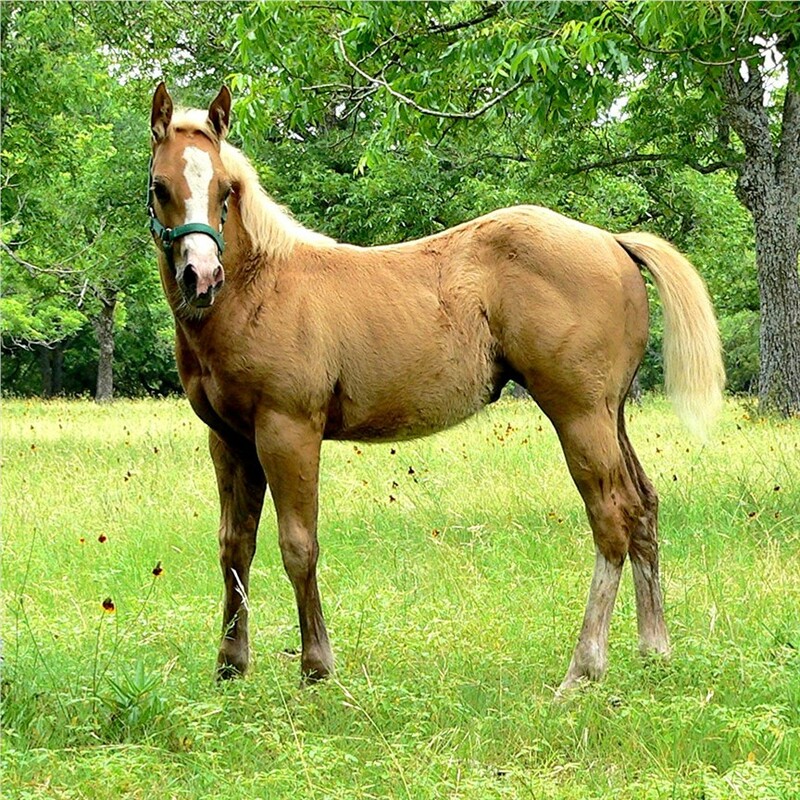 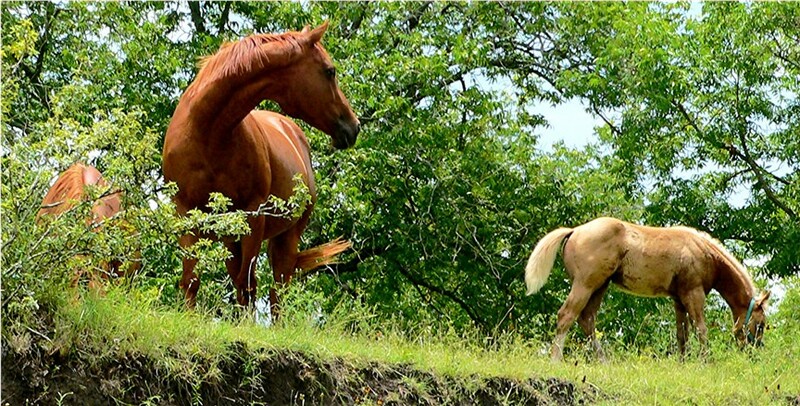 - Blon Dee is a light sorrel mare with a flaxen mane and tail. 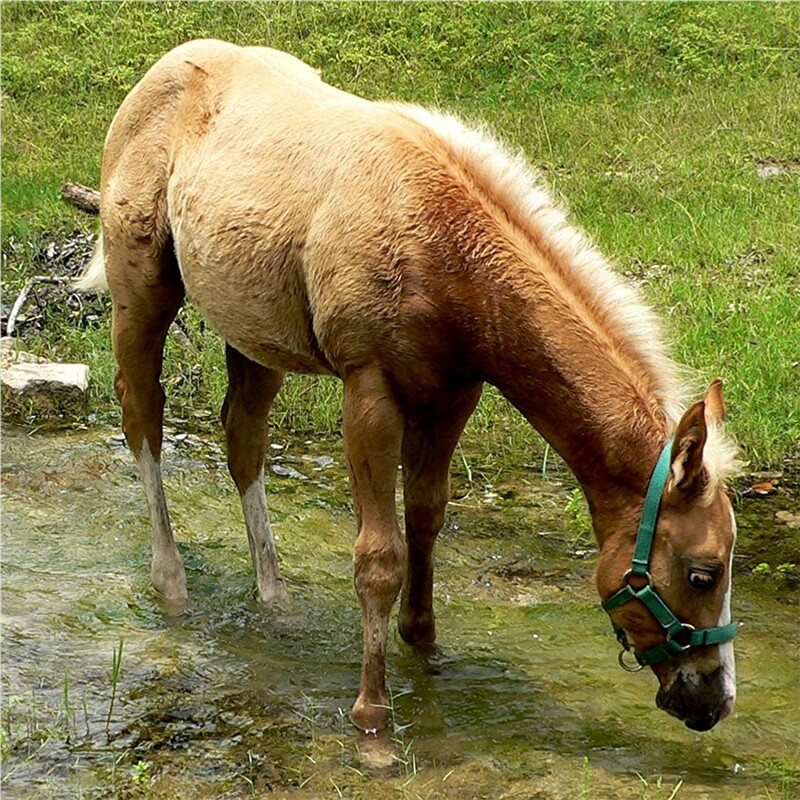 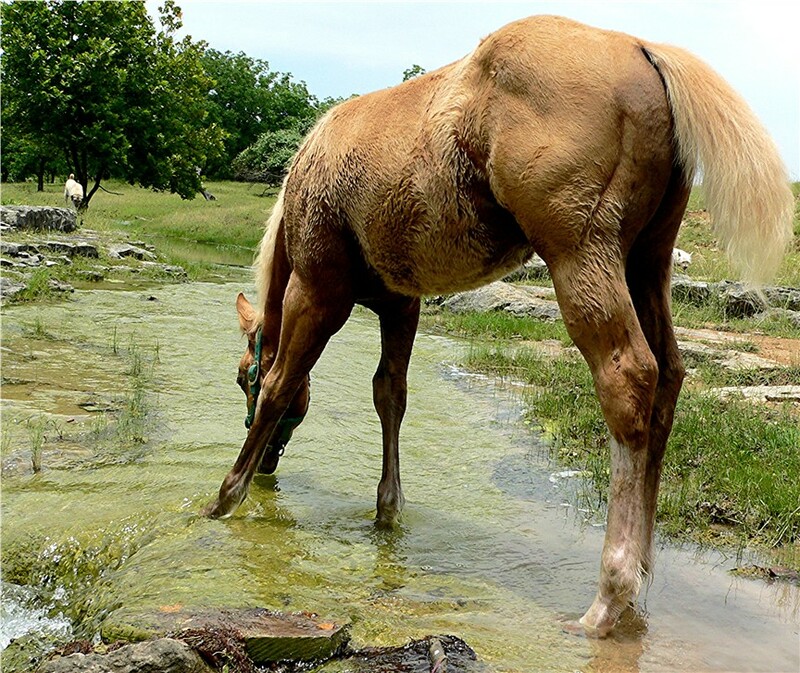 After a couple of hours of fun in the big pasture, our sweaty Miracle takes a last drink in the spring before returning to her small, well protected lush pasture. 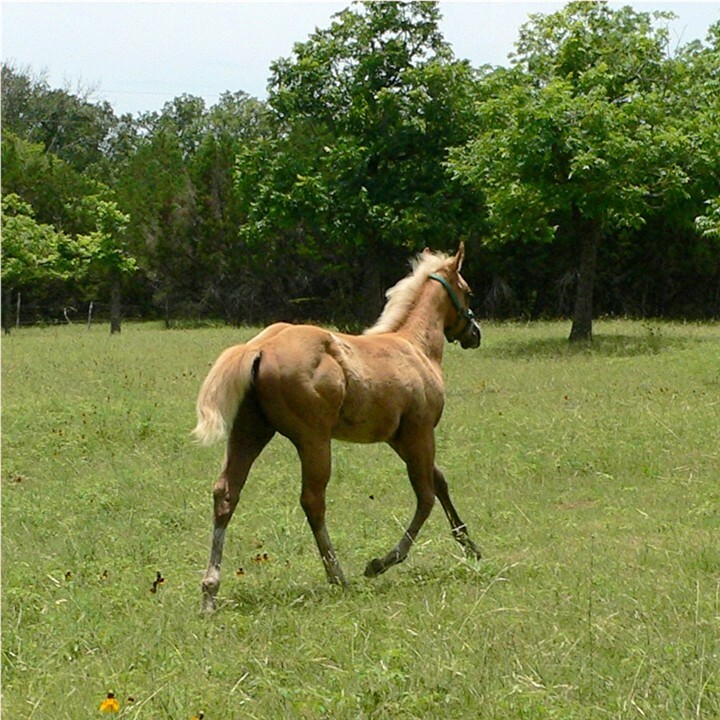 Miracle knows there she gets Foal Lac pellets, Equine Junior, and alfalfa free choice in addition to the lush coastal bermuda growing there.